I know, I know! The holidays are over, HOWEVER! 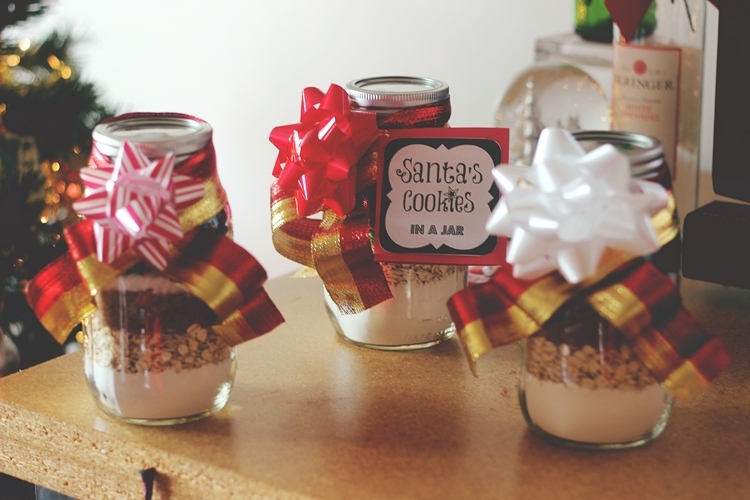 I made these super simple and easy cookie in a jar gifts for a few friends over the holiday season and I just didn't have time to share with you guys at that time! 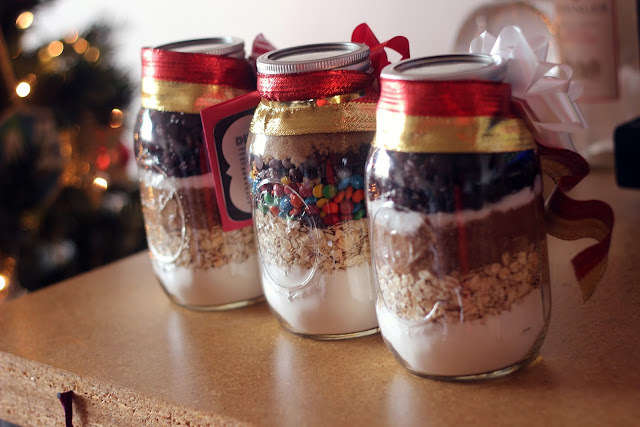 This is something that can be made for anyone at any particular time of the year! Any event! They are super fun, simple and easy to do. 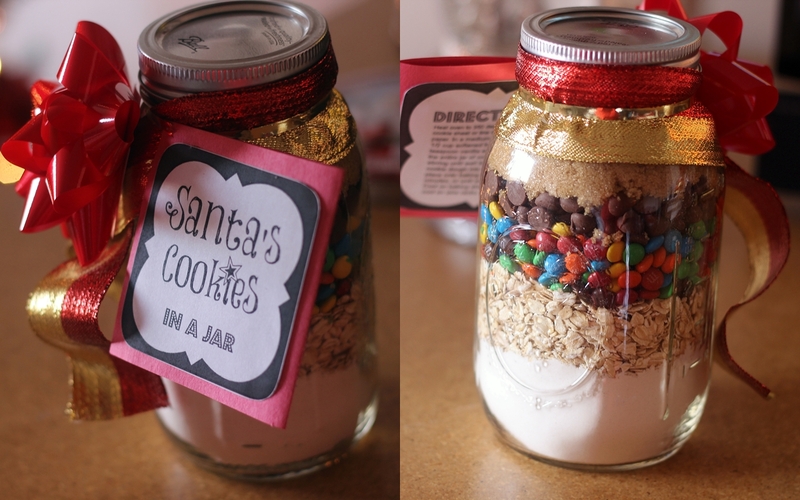 I'd been waiting for the chance to make these and Christmas gave me the opportunity to do so! I found the recipes on Pinterest (which I will list further down), where there was sooo many great recipes to choose from! I stalked my friends to see what they liked, which was so funny. They never put 2 + 2 together! I had the plan of making a different kind for each one of them, but 2 of them came back with Oatmeal Raisin as their favorite flavor. The Oatmeal Raisin recipe calls for walnuts, but everyone doesn't like them, so I added them to a separate bag along with the jar. Santa Cookies recipe found here | pinterest pin! Oatmeal Raisin Nut Cookies recipe found here | pinterest pin! 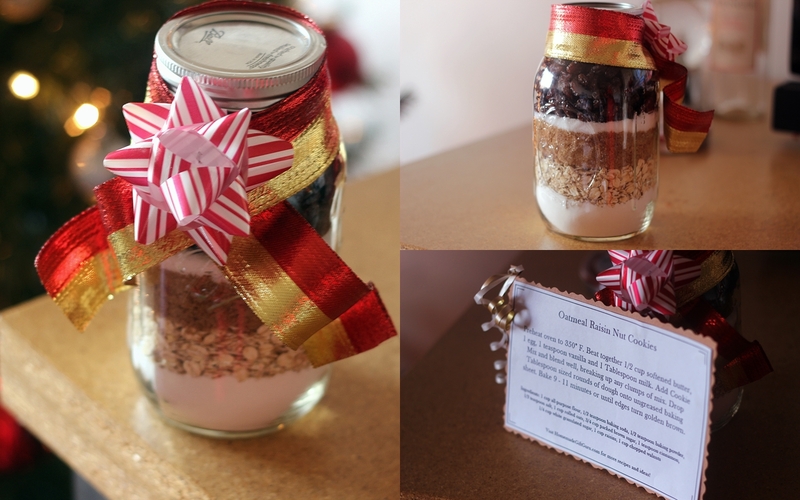 If you need someone quick but from the heart to give as a gift, give these yummy cookie in a jar recipes a try! I'm sure whoever receives them will be appreciative!! Happy Monday Loves! ♥ Wishing you a prosperous week!